The countdown to New Years Day is beginning. 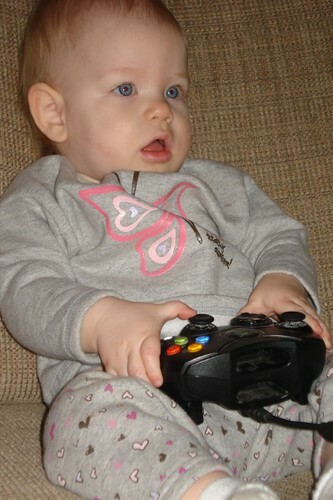 We’ll be raising our session prices for 2009, so if you’d like to lock in a 2008 price book now! January is nearly full, but February is right around the corner. A portrait session may be the perfect Valentines gift! Also, 2009 will mark our first wedding season. We’ve got a couple of weddings booked already and we’re eager to schedule some more. If you or someone you know is planning a wedding for this Spring or summer, contact us soon to lock in the 2008 price. Our base package starts at just $950. I thought I’d include a couple of photos from our Christmas vacation. 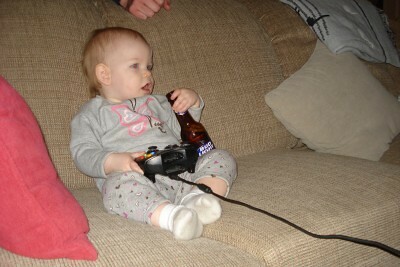 Madelyn really knows how to relax with a cold one and a new XBox game.